Peak Appliance Repair is fully licensed and insured for your peace of mind. Our highly trained technicians are experienced in all major appliance repairs utilizing only factory recommended parts. Our customer base includes private home owners, home warranty companies, vacation rentals, long term rentals and property managers. A large selection of common parts are stocked and in our vans from many manufacturers. This allows us to complete most repairs on the first visit. We have two technicians servicing Summit County, Colorado. We work in any weather, provided that your street and driveway are plowed! No waiting all day, our schedule gives you a 2 hour time slot when we will be by. 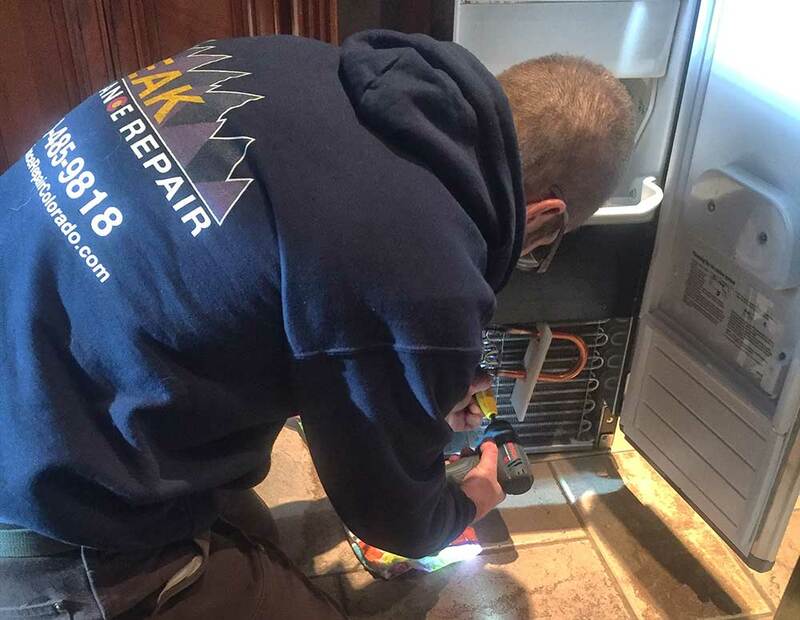 Peak Appliance Repair is a team you already know and trust! We have over 20 years experience in appliance repair in Breckenridge, Frisco, Keystone, Blue River, Silverthorne and Dillon.